2 Bedroom Apartment with Sea Views. Light-filled, breezy and pulsing with relaxed coastal vibes, you'll swoon over this Bondi pad. Wake up to the stunning views over the glistening ocean and fall asleep to the soothing sounds of the waves. These stylish and contemporary Bondi Beach Apartments are perfectly located within a couple of minutes’ walk to the main beach, Bondi Beach village and the Bondi Beach weekend Markets. 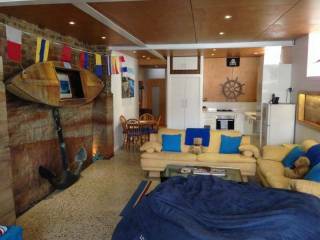 Recently decorated, this 2 bedrooms apartment is spread over 90 square meters.This apartment is located on Campbell Parade, beach front location, one step from sand and surf. 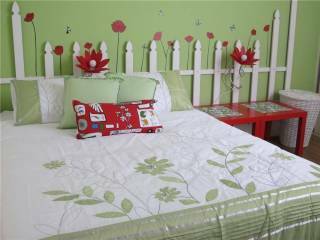 The suites are tastefully decorated and epitomize elegance. 1 King, 1 queen bed. 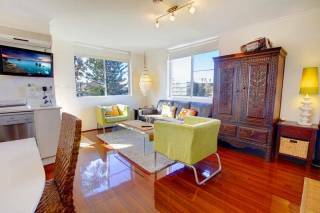 With breathtaking views of Bondi Beach and the famed coastal walk, this spacious 2 bedroom apartment has everything you need for the perfect beach holiday. This fantastic home accommodates up to 16 guests (12 adults & 4 children) in four queen ensuite bedrooms, one twin room, one bunk room with 4 “King Single” bunk-beds, and a media room with an enormous couch that is actually 2 further “King Single” beds. 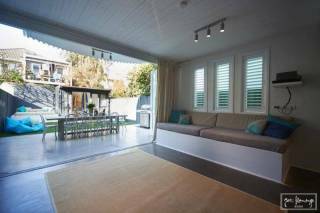 Stylish, newly renovated studio oasis, less than 100 metres to Bondi Beach! Open the door and step into this great, top floor beach side Oasis! 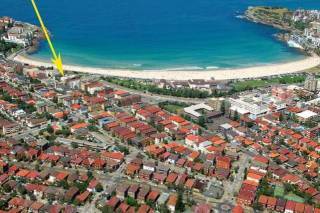 Stylish, newly renovated one bedroom apartment directly opposite Bondi Beach! 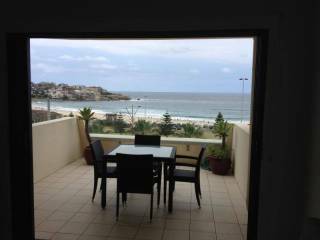 Fully furnished one bedroom apartment fronting Campbell Parade, you can't get any closer than this to Bondi Beach. 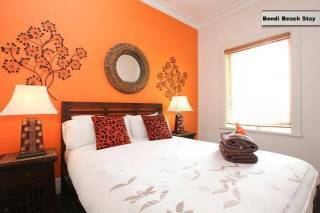 Serenity in sought after Central Bondi Beach is a spacious, cosy and serene cottage, with elegance & comfort in mind. 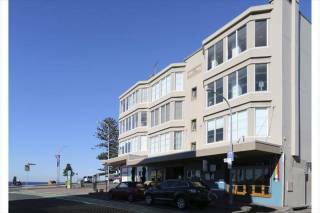 Situated on the corner of Roscoe Street & O'Brien, it's a stones throw away from the famous Bondi Beach. 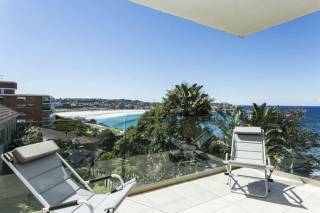 Across the road facing the beach this 3 bedroom apartment has spectacular views of the world famous Bondi Beach. Minutes to shops, cafes and restaurants. Take surfing classes or just laze on the sand. Newly renovated beach side pad. Available now. 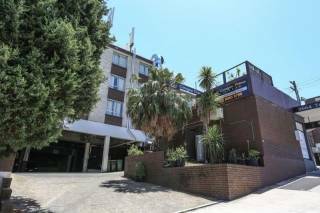 A MINUTE FROM BONDI BEACH, THIS LUXURY 2 BEDROOM 2 BATHROOM FULLY FURNISHED APARTMENT IS FULLY FURNISHED AND OFFERS A GOURMET KITCHEN, ENTERTAINING AREA, SECURITY PARKING, AND QUALITY INCLUSIONS. GREAT VALUE. Courtyard Apartment in Bondi Beach: Straight from the pages of a glossy magazine, this suave level access apartment offers a modern Scandinavian feel, just minutes from world-famous Bondi Beach and its vibrant shopping and dining scene. Displaying 1-20 of 309 results.